Positive customer experiences are everything—especially in schools. They power everything from helping school leaders build trust to retaining families to increasing community engagement. That’s a force that can’t be ignored. 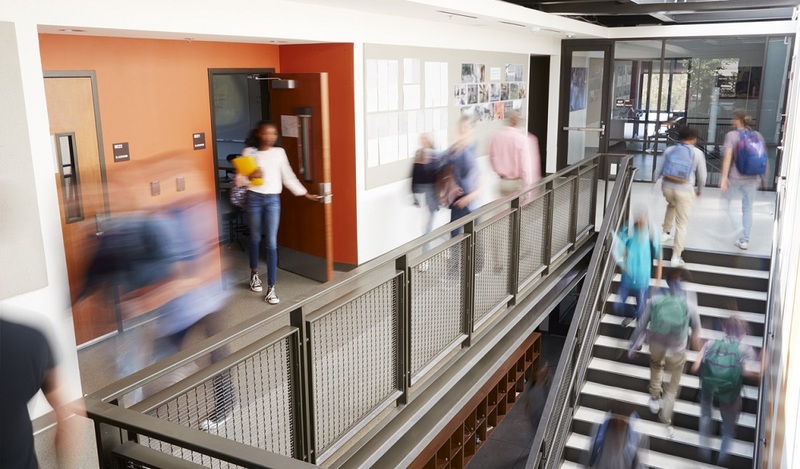 While everyone plays a role in creating a culture of positive customer experiences, there are certain teachers, staff members, and school leaders who truly go above and beyond to turn everyday interactions into special ones. These superheroes don’t wear a mask and cape, yet their efforts occasionally fly under the radar. 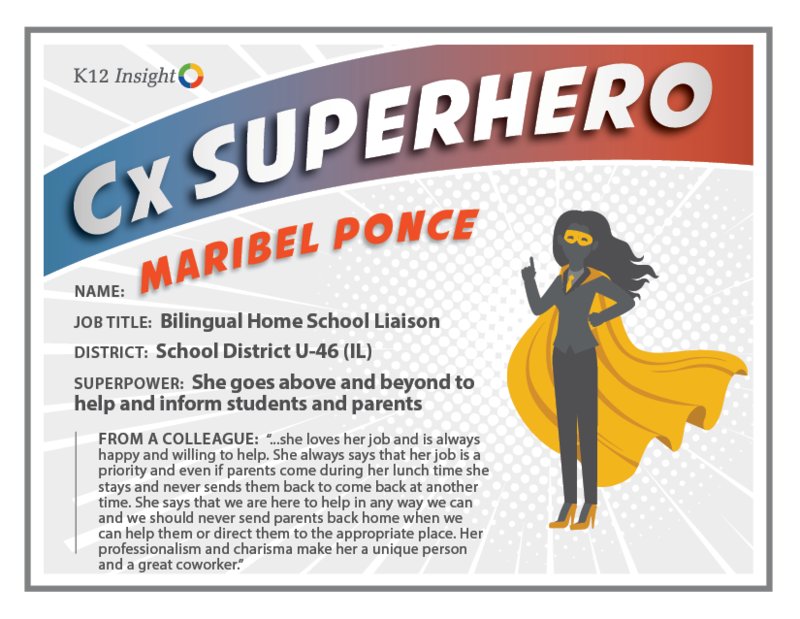 Enter the K12 Insight Cx SUPERhero Awards. We’re recognizing those who are redefining what it means to support students, families, and staff. 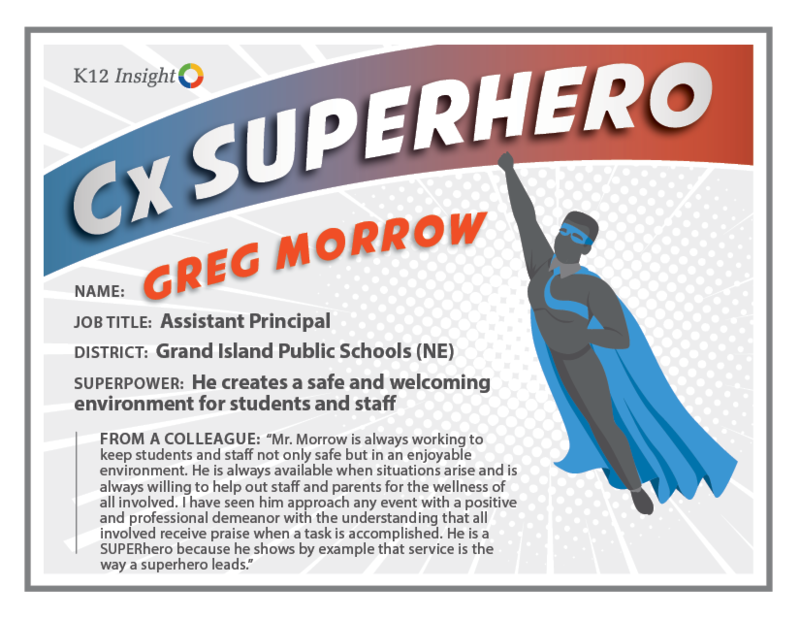 The contest was open through the month of March, during which school and district employees could nominate colleagues who epitomize what it means to be a customer experience superhero in their district or school. 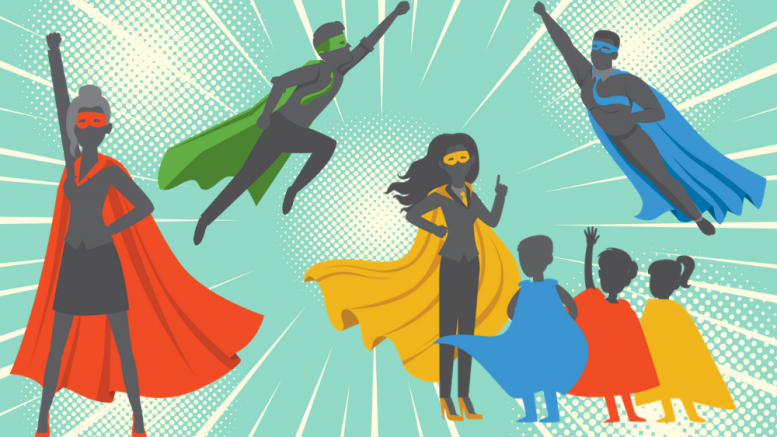 After much deliberation, we are excited to announce the three winners of our Cx SUPERhero Awards, along with 10 honorable mentions. Thank you to everyone who submitted, and we look forward to recognizing our next batch of school customer experience superheroes soon! Note: Names and job descriptions appear as they were submitted. 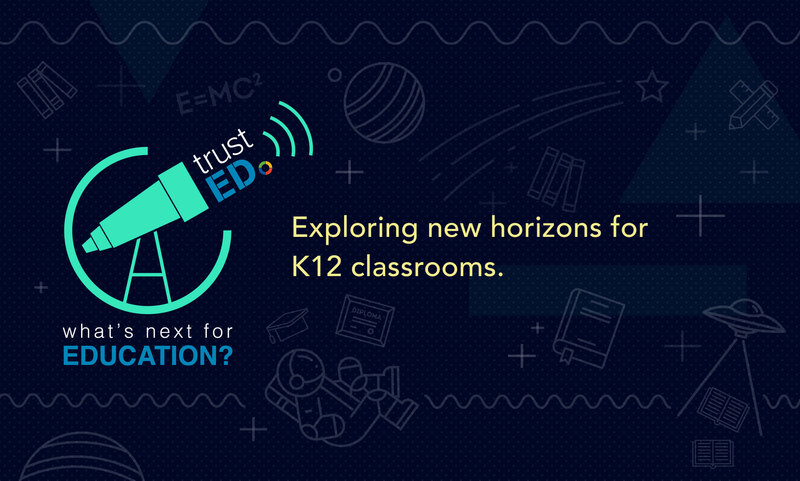 For updates, please contact Kyle Freelander at kyle.freelander@k12insight.com. 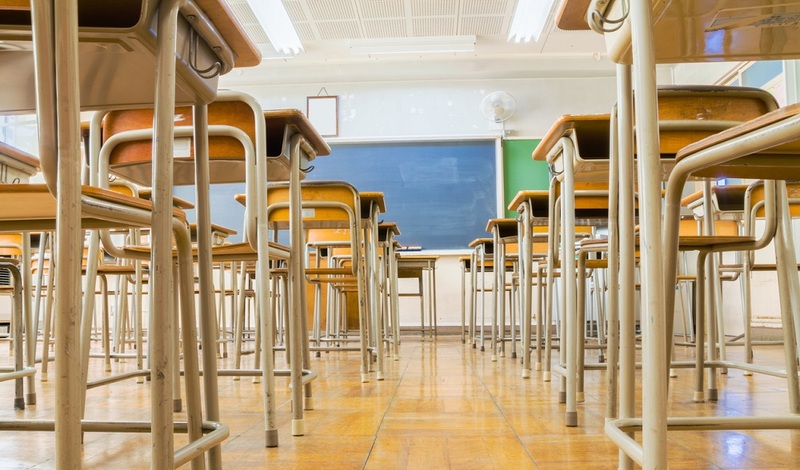 Is your school or district ready to create a service driven culture? Sign up to learn more about our customer experience workshops, which are designed to help you and your team power up when it comes to creating excellent customer experiences. 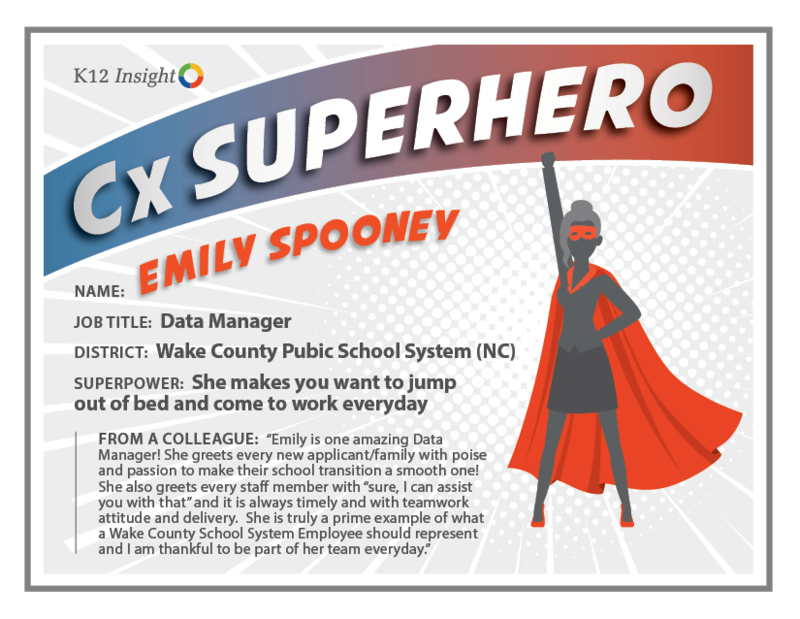 Be the first to comment on "Congratulations to the newest Cx SUPERheroes!"